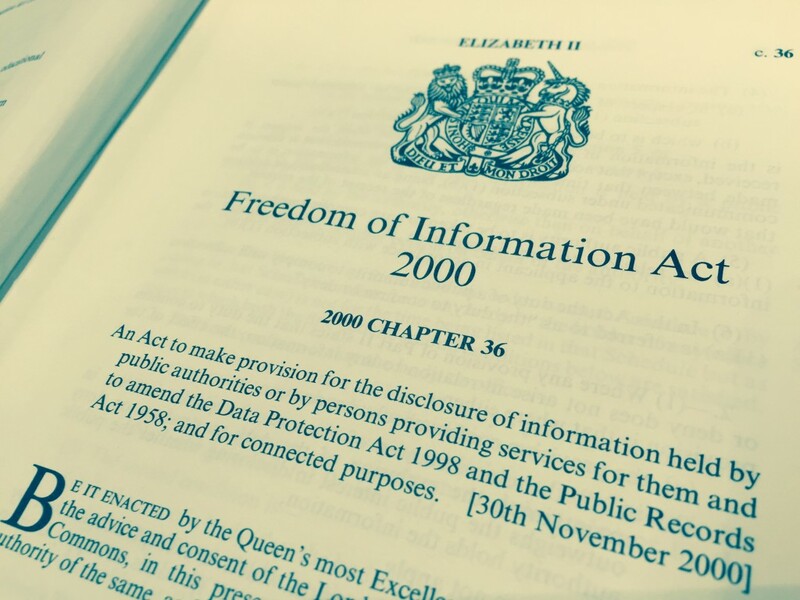 The Freedom of Information Act (FOIA) operates too slowly to contribute to the Brexit debate, according to the Campaign for Freedom ofInformation. 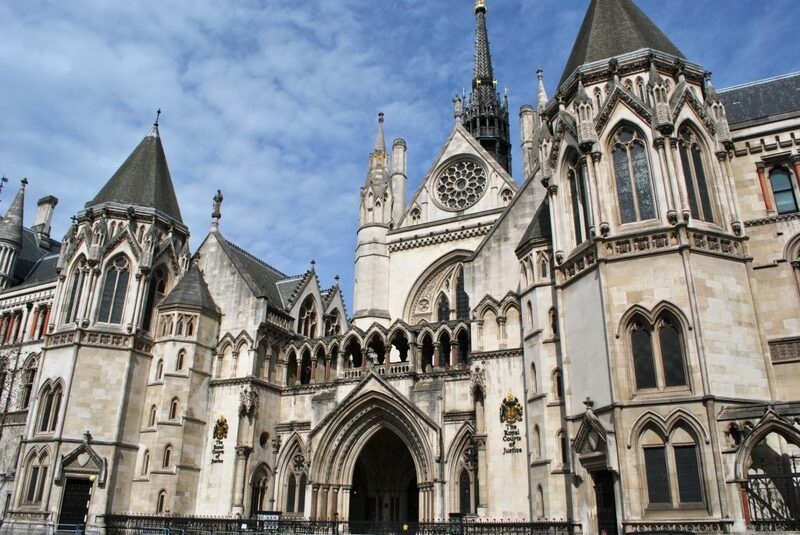 The Campaign’s director, Maurice Frankel, has submitted a witness statement to the High Court supporting an attempt to use the common law and Article 10 of the ECHR instead of FOIA to obtain government studies on Brexit. The statement says the FOI process is too slow to obtain them in time to inform public debate before the Brexit deadline. The UK is due to leave the EU at the end of March 2019. A draft Bill set out in today’s Queen’s Speech will lead to an unnecessary layer of secrecy about investigations into patient deaths and injuries, says the Campaign for Freedom of Information. The draft Patient Safety Bill will put the work of the newly formed Healthcare Safety Investigation Branch (HSIB), which investigates selected NHS safety incidents, on a statutory basis. The HSIB will be required to publish reports of its investigations, but will be prohibited by law from revealing any other information obtained during its investigations. FOI requests for such information will automatically be refused. New proposals by the Law Commission to reform the 1989 Official Secrets Act (OSA) could lead to the imprisonment of civil servants and journalists for disclosing information that would be available to anyone asking for it under the Freedom of Information Act, say the Campaign for Freedom of Information (CFOI) and ARTICLE 19. The Law Commission is proposing to make it easier to secure convictions under the 1989 OSA by weakening the test for proving an offence. But the proposed weaker test would catch information that would have to be disclosed under the Freedom of Information (FOI) Act, say the CFOI and ARTICLE 19. Maximum prison sentences on conviction, currently 2 years, would be increased. A new legal block on the disclosure of information about NHS safety investigations will fuel public suspicion of cover-ups and protect poor quality inquiries from scrutiny, says the Campaign for Freedom of Information. The Department of Health has proposed new arrangements for investigating serious hospital safety incidents. The aim is to encourage staff to speak frankly to investigators about mistakes they may have made without fear of being victimised. As a result, only the investigation report could be published. A new legal prohibition on disclosure would prevent the actual evidence obtained by investigators from being released under the Freedom of Information (FOI) Act. A hospital would not be able to release it voluntarily even if it wanted to and Parliament would not be able to obtain it either. The Campaign took part in an event on 8th December 2016 to celebrate the 250th anniversary of the world’s first ever freedom of information law, adopted in 1766 by Sweden and Finland which at the time were one country. The event was hosted by ARTICLE 19, the Embassy of Sweden, the Embassy of Finland and the Information Law and Policy Centre at the Institute of Advanced Legal Studies. The evening session provided the first opportunity for many people to hear from the new Information Commissioner, Elizabeth Denham, on her priorities for Freedom of Information. In a landmark decision, the Grand Chamber of the European Court of Human Rights has ruled in the case of Magyar Helsinki Bizottság v. Hungary that there is a right to information from public authorities under Article 10 of the European Convention on Human Rights. The UK’s Supreme Court had previously found that the Strasbourg court’s case law had not established this – but the new decision clearly does so. The Government has just stated that it is “carefully considering” a recommendation made by the Commission on Freedom of Information in March 2016 that the right to appeal to the First-tier Tribunal (FTT) against the Information Commissioner’s decisions should be abolished. When the Commission’s report was published the Government gave an assurance there would be “no legal changes” to the FOI Act. Abolishing the FTT would require such legislative changes. The FTT is a vital safeguard against poor decisions from the Information Commissioner. In 2014, some 20% of requester appeals to the FTT were wholly or partly successful. The Campaign believes that depriving requesters of this right of appeal would seriously weaken the public’s right to know. Posted on September 14, 2016 by CFOI in Events, News | Comments Off on Information Commissioner & Tribunal Decisions – what do they mean in practice? The Information Commissioner has issued over 9,000 decision notices under the Freedom of Information Act and Environmental Information Regulations – while the Information Rights Tribunal has published over 1,700 decisions. A significant number of appeals to the Upper Tribunal and courts have also been decided. These complex decisions are essential materials for anyone trying to understand what public authorities must do to comply with the legislation. This course, now in its 11th year, is aimed at experienced FOI practitioners and others with a good working knowledge of the legislation. It highlights the latest developments in the way the exemptions, public interest test and the legislation’s procedural requirements are being interpreted. The Campaign for Freedom of Information is seeking to broaden the skills and diversity of its board which currently has 5 members. We would like to appoint at least 2 new unpaid trustees/directors. They should be interested in improving the accountability of public bodies but do not necessarily need detailed knowledge of FOI. We would be particularly interested in hearing from people of any background with experience in individual giving, communications or the management of small organisations who can help the Campaign raise funds, promote its message more effectively and maximise its impact. The board meets approximately 6 times a year usually late afternoons in central London. Travel expenses reimbursed. The Campaign is the UK’s leading freedom of information (FOI) organisation. Set up in 1984, it played a critical part in persuading the government to introduce the FOI Act in 1999-2000, improving the legislation in Parliament and resisting repeated attempts to restrict it (most recently just a few months ago). The Act has helped reveal the MPs’ expenses scandal, expose wasteful spending and shortcomings in the provision public services and transformed the public’s rights to information. It now seeks to defend and improve the Act, assist FOI users, train requesters and public authorities and encourage authorities to adopt a positive approach to the legislation. To apply, please send your CV with a covering letter explaining what experience and skills you would bring to the board to admin@cfoi.org.uk. The closing date is 21 October 2016.